Students Cycle Higher Level Web Application Development (DAW), have conducted a workshop on content management tool Drupal with our center. This workshop has been possible, thanks to the support·Engineering company working Drauta (www.drauta.com), What we have with the·worked with the center in the preparation and delivery of the workshop. 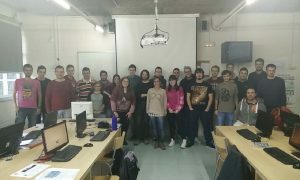 The duration of the workshop consisted of 8 school hours and 10 practical hours, distributed during 3 weeks and delivered within the professional module project. 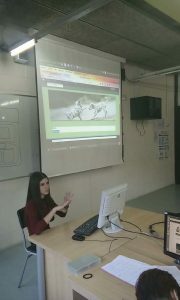 Workshop Dintre, Students have developed a corporate website free theme. At the end of the workshop, Students presented their projects to the entire group and has taken delivery of certificates of completion to the entire group. 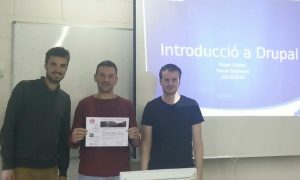 It has also made a special mention Ferran and Roger Codina Bramon, trainers and employees of Drauta Engineering, which have guided us and made during the workshop. 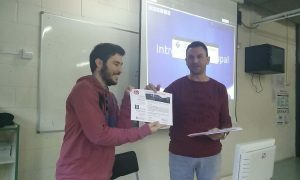 with the, also made a delivery of a certificate cabbage·operation in the organization Drauta Engineering, for their co·partnership development workshop, and participation in the education of our students.